Hi! 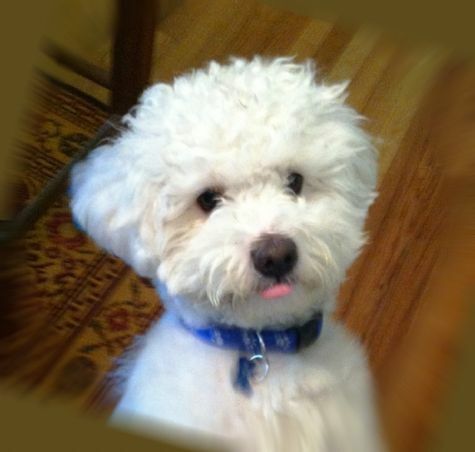 I�m Moshe and a lovable, playful Bichon-Cocka-Poo. My mom rescued me when I was 1 year old. I was a dirty mess and a mischievous little pup! But, she nursed me back to health and taught me to be a good boy. I still love to chase birds and squirrels, but I can't catch them. I love to get scratched behind my ears and on my toosie. Luckily, I get to bring joy to ALL the people we visit thru Love On 4 Paws�and I get my belly rubbed too! Being a therapy dog makes me happy and proud!